Located next to Warnham Nature Reserve, on the outskirts of Horsham, Rookwood Golf Course is one of Sussex golf’s true hidden gems. 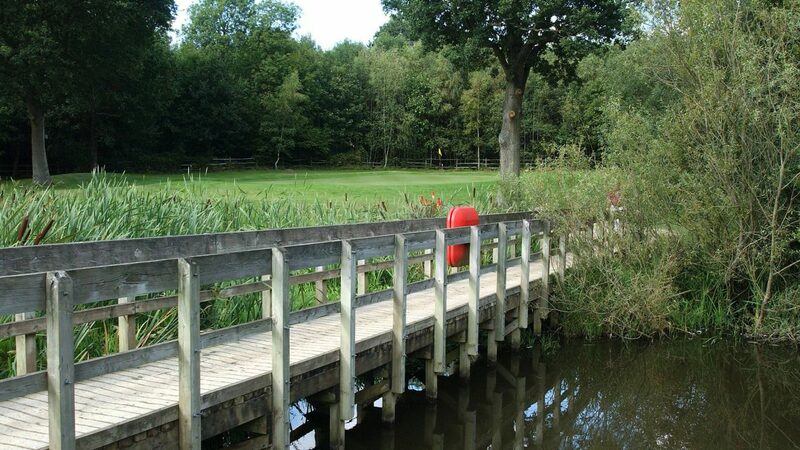 First opened in 1997, its 18-hole course occupies a mix of gently undulating parkland and mature woodland. The 6,261-yard layout features strategically-positioned bunkers and a number of large lakes and presents an enjoyable challenge to both experienced players and novices alike. Fast moving greens with subtle undulations, lush green fairways, and well-maintained tees all combining to create a very playable, but most importantly enjoyable, game of golf, making it an ideal venue for societies and corporate events. The stunning clubhouse is housed in a converted 17th century Sussex barn, and offers a wide-ranging menu for golf days. A feature of the conversion is the large mezzanine floor overlooking the bar. This spectacular dining area, with its own veranda overlooking the course, can cater for a private awards dinner or post-match meal. The club’s highly experienced golf team is on hand to ensure every aspect of your golf day will run smoothly, with a variety of bespoke packages available to suit groups of all sizes. Golf day packages for groups of eight or more available from just £25 per person, or bespoke days can be arranged to suit your exact requirements. Located off the A24 Robin Hood roundabout, between North Horsham and Broadbridge Heath, Rookwood is within walking distance of Horsham town centre. From £15 during the week and £30 at weekends. Savings available when booked online. 9-hole par-3 course (which is also available for FootGolf); changing rooms; practice putting green and pitching area; bar and lounge; golf shop; buggy and trolley hire.